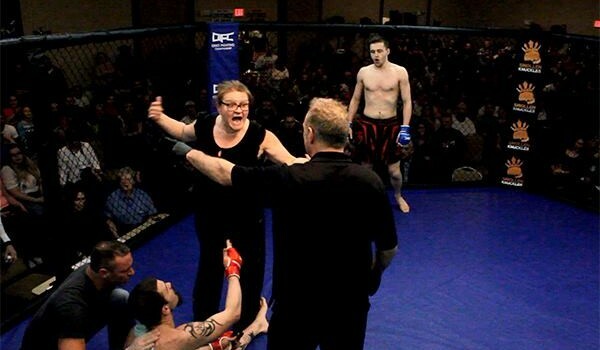 Well, that’s one way to feel totally emasculated after getting choked unconscious in about a minute – by having your mom run into the cage to yell at everyone involved. I’ve watched this video multiple times and I still can’t quite figure out what the hell is happening, but nice submission, brah. Now can you leave us alone, Ma?